When visiting Spain, most tourists are drawn to the major cities like Barcelona, Malaga, Sevilla and Madrid, and rightly so, all those places are amazing. But if you’re planning on a longer trip, and especially if you’re hiring a car and taking to the road, there are some absolutely stunning towns that are less well-known but equally wonderful places to experience. Here are five of the prettiest towns that Spain has to offer, all of which are well worth detouring away from the main tourist hubs for. 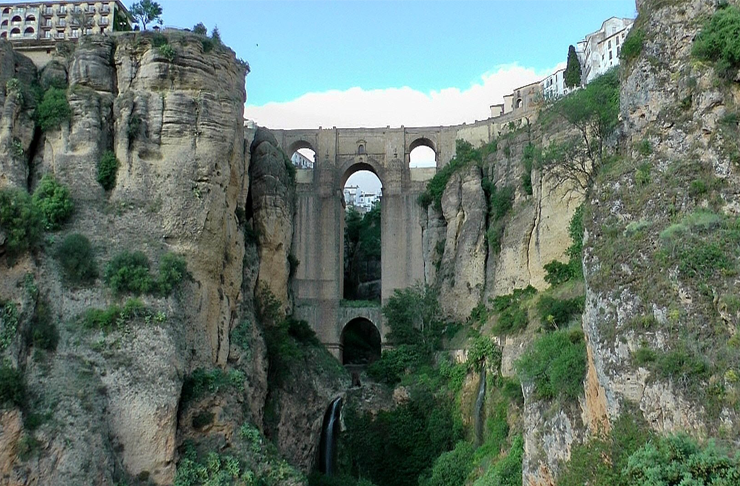 Spectacular when seen from afar and gorgeous to stroll through, Ronda straddles the El Tajo gorge. The most famous view of the town is from below, where you can see the Puento Nuevo bridge crossing the impressive 100m chasm. From the town itself the vista is amazing too, either from the bridge itself or from one of the restaurants lucky enough to be perched on the edge of the plateau and overlooking the Serania de Ronda mountain ranges and lush countryside. The old town, which dates back to the ninth century, retains its Moorish feel and archaic charm. Another spot that is probably at its most beautiful when gazed upon from below, in order to get a real sense of the sheer improbability of it. 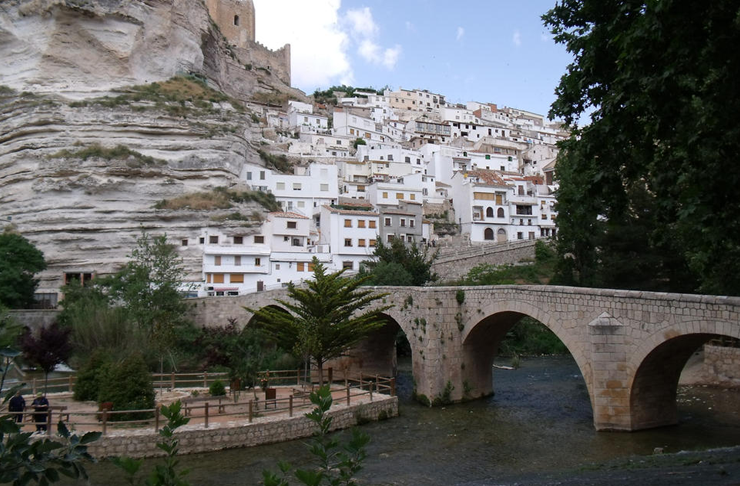 Whitewashed buildings encircle a stark outcrop which rises up above a bend in the river Jucar, with a fortress sitting at the very top. The bright blues or the river below and vibrant green terrain surrounding it make the white gorge and buildings stand out even more. If you venture up to the town itself, you’ll find caves dotted throughout, many of which are still used as dwellings. Just don’t make the mistake we did and try and drive up, as the narrow cobbled streets eventually become too tight for a car, and you’ll be forced to face the horror of reversing back down the mountain. 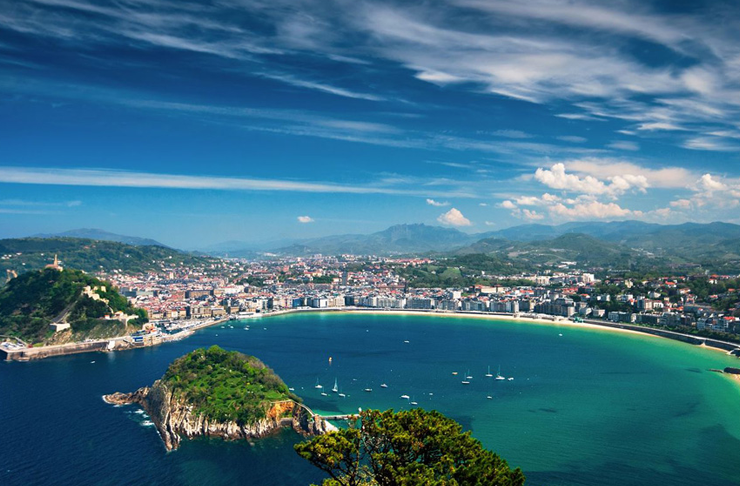 The perfect sized locale to spend a relaxing few days by the sea, San Sebastian lies around a little cove called Playa de La Concha and an even smaller one called Playa de Gros, both of which are lovely beaches for swimming and sunbaking, and the latter even has some decent surf. You can walk from one end of Playa de La Concha to the other in about 20 minutes, and afterwards take the cable car to the peak overlooking the whole gorgeous scene. The narrow lanes in the old town are also pretty enticing, not least of all because they are packed with pintxos (Basque tapas) bars where you can spend your evenings eating, drinking the local wine and socialising. 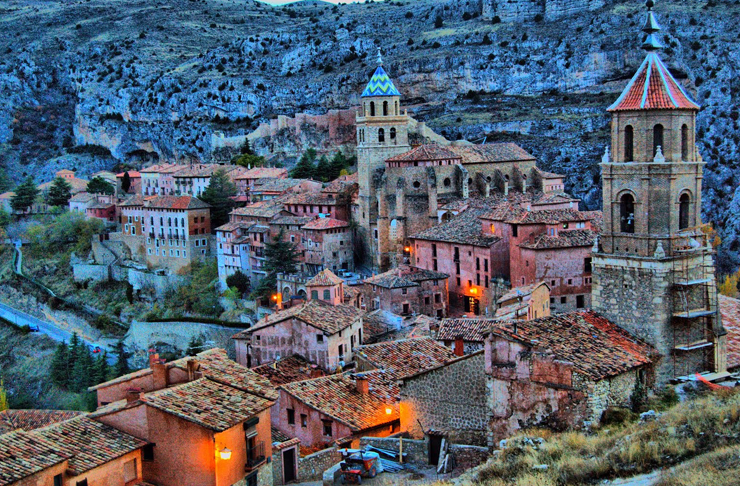 Often named as Spain’s most attractive town, by whoever gets to name such things, Albarracín truly is a wondrous place. An important military fort during the Reconquista, its defensive walls climb up the hillsides and frame the rust-coloured buildings of the village. Though you can only park part of the way up into the town, the climb isn’t as difficult as it first appears, and its more than worth it for the views from up top and for the walks through the winding streets and stone stairwells of the village itself. A dramatic hill, topped with the ruins of a medieval fortress, rises up out of the plains almost menacingly. 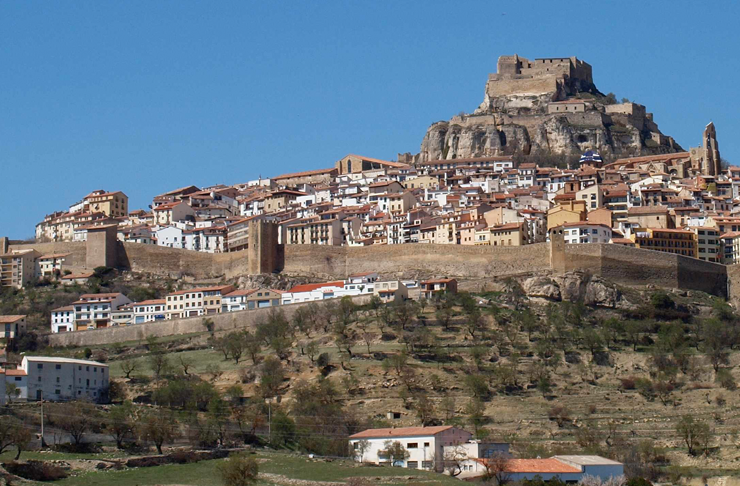 The whitewashed houses with their terracotta rooves which encircle it make up the town of Morella, just a couple of hours drive from either Valencia or Barcelona. The Greeks, Carthaginians, Romans and Moors all occupied this storied city at one time or another and, entering through the daunting gates and wandering the streets and alleys, it is easy to be transported back hundreds of years into the past.